The International Union for Conservation of Nature assessed the state of cactus populations around the world and found almost a third of all species are endangered. The report summarizes that human activity is threatening hundreds of species with extinction. This includes illegal trading, agriculture and aquaculture, but also land-use change. “The results of this assessment come as a shock to us,” said lead author Barbara Goettsch, co-chairwoman of the IUCN’s Cactus and Succulent Plant Specialist Group. It’s one thing for a species to be threatened by extinction, but a whole group is a different matter entirely. Officially, cacti represent the most vulnerable group on the IUCN Red List of Threatened Species, more so than mammals, birds or insects. Cacti are native to the Americas, ranging from Patagonia in South America through to areas of western Canada. One species, Rhipsalis baccifera, is the exception, it is also found in tropical Africa, Madagascar and Sri Lanka. While you can find a lot of cacti in Europe, Asia and Australia these don’t naturally grow there. These were either intentionally brought there or planted by accident. There are 1,500 to 1,800 species of cacti. 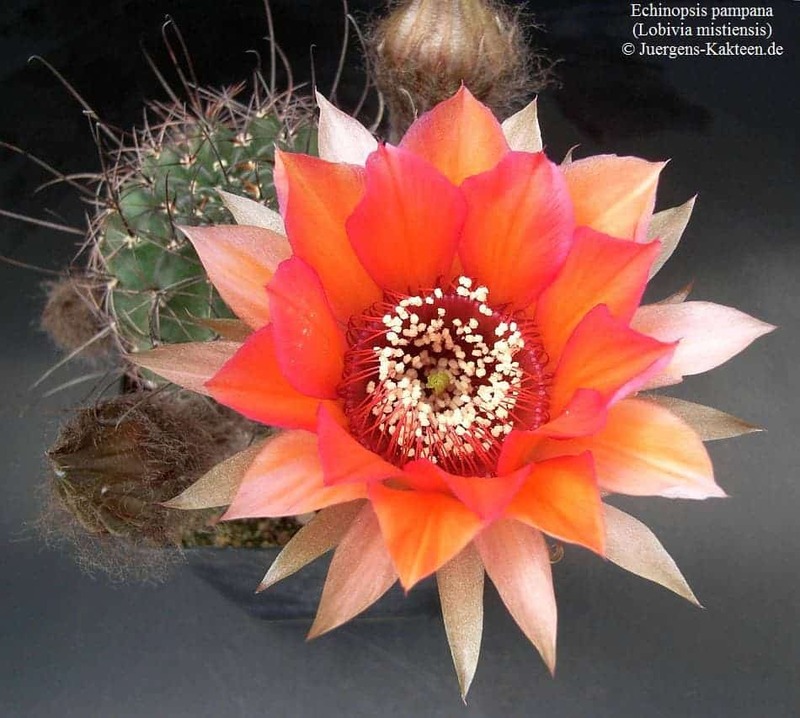 Each species for the most part fall into one of two core cacti categories, these being opuntias or cactoids. Humans generally use cacti for decorative purposes, and ever since the first cactus was brought to Europe in the 1800s trade has flourished. Unfortunately, cactus trade is what’s driving species extinct. According to the report illegal trade of live plants and seeds is responsible for threatening 47% of the affected species. Only a few suppliers grow their own cacti, and more than 87% of the plants destined for horticulture are sourced from the wild. One prime example is Echinopsis pampana, which grows beautiful flowers of mixed coloring including magenta, orange, fuchsia, pale yellow & purple. Once abundant, the Echinopsis population has been more than halved in past 15 years. Cacti aren’t only pretty – they’re essential to their local ecosystems. These live in harsh, arid and generally inhospitable conditions. But at the same time, these extreme survivors hold vasts amount of water which many animals depend on, while also doubling as food. Coyotes, deer, lizards or tortoises all depend on cacti to survive. The report’s authors argue that more enforcement of international agreement meant to protect the cacti is required. In many countries, however, these matters aren’t taken very seriously and collectors can easily buy the plants. “The whole family of cacti is included in Cites, which means that you can trade the species but you need to have permits. This is what needs to be enforced in some of the countries where the species occur,” said Goettsch said.